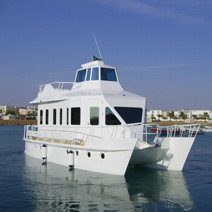 Designers and Builders of Floating Islands, Multihull Yachts & Ships, Fiberglass Houses; all based on the Advanced Engineering Dhow 4 developed by Dr. Abdullah Daou. 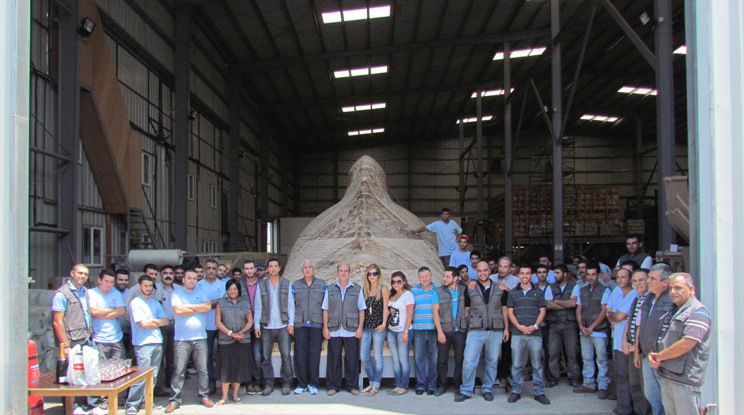 Beirut International Marine Industry & Commerce s.a.r.l (B.I.M.I.C)was established in 2003 as a family company and has a current capital of 300,000,000 LBP,with the shareholders Dr. Abdullah Daou, Mrs. Nawal Shehayeb Daou and their two children, Civil Engineer Sumer Daou and Architect Soir Daou. 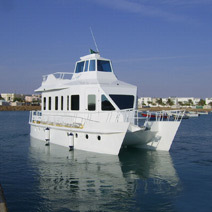 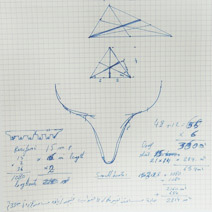 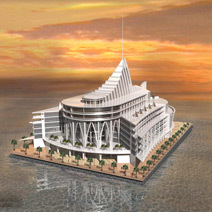 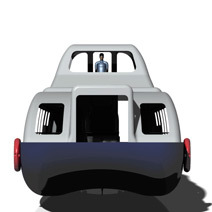 BI, with a current staff of 400 highly skilled engineers, technicians and administrators, is dedicated to launch the industry of Floating Islands, Multihull Yachts & Ships, Fiberglass Houses, all of which are engineered according to the Advanced Engineering of the Floating Island Dhow 4, a new breakthrough in Marine Engineering, researched and proved by Dr. Abdullah Daou. 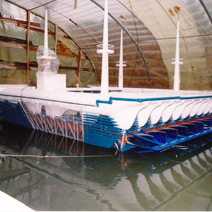 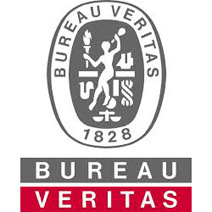 The first application of the Advanced Engineering of the Floating Island Dhow 4 was accredited and admitted by the French Marine Society, Bureau Veritas, on June 29th 2005. 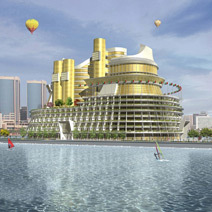 BI designed and is now building the First Floating Island in the History of Mankind. 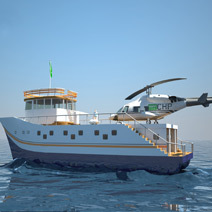 She will be launched in the East Mediterranean coast of Lebanon in summer 2017. 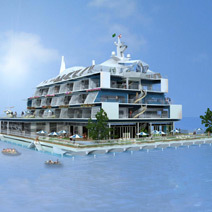 Staff is expected to include 560 engineers and technicians in July 2015 in order to accomplish the construction of this Floating Island at different fully computed workshops of about 25000 sq.m in three locations; HaretSakhr, Tripoli and town of KabrAshmoon. 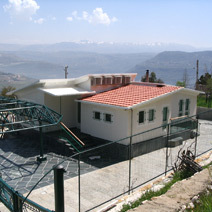 The construction is supervised by the Greek Marine Society; International Naval Surveys Bureau (INSB). 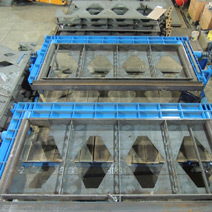 This industry is creating a new international demand for the steel, fiberglass, and resin industries worldwide and simultaneously fulfilling essential needs of the 21st century. 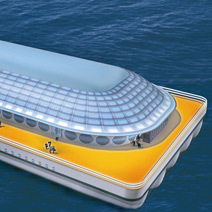 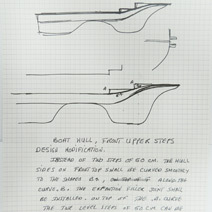 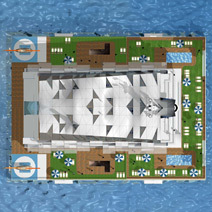 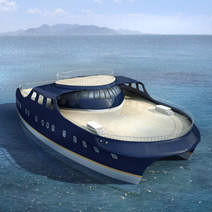 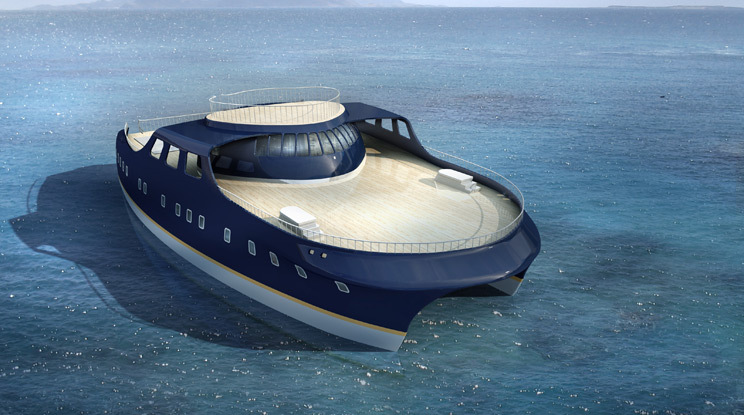 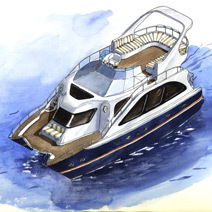 A highly stabilized, self-propelled floating structure with sea-accessible main deck. 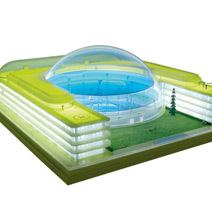 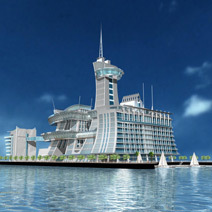 Possible applications include: floating hotels and resorts; private floating villas; offshore coast guard bases; offshore staff housing; floating strategic naval bases; etc. 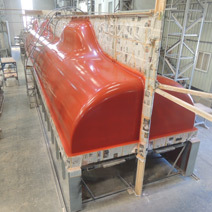 Made of composite GRP and steel, allowing for considerable reduction in the total weight of the vessel, this can be a catamaran, trimaran, or multi-hull small or large ship with ultimate stability, higher speed, shallower draft, and economical fuel consumption. 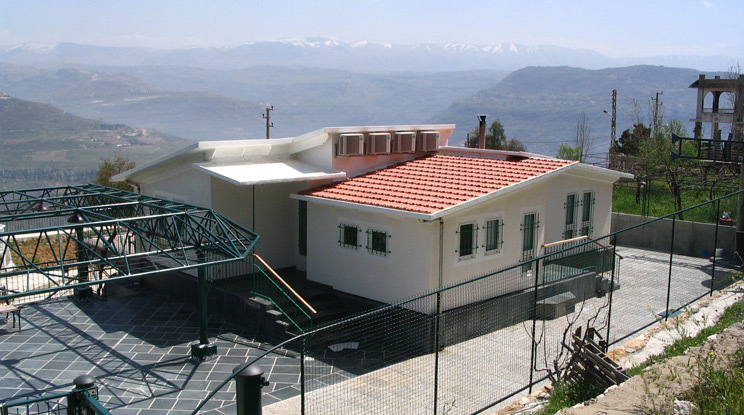 A house made of fiberglass sandwich panels which has a theoretical lifetime of 400 years. 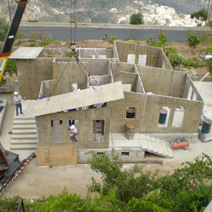 Advanced sound-proofing, thermal insulation, fire-resistant, and earthquake-resistant, the house can be built and inhabited in one month. 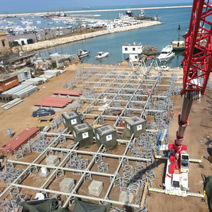 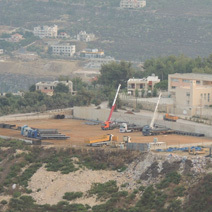 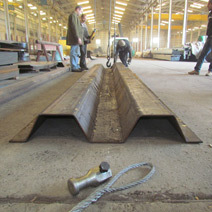 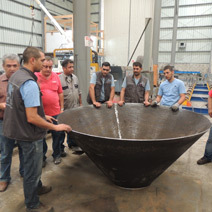 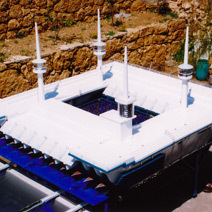 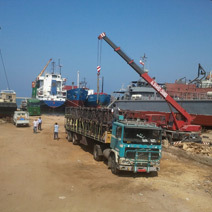 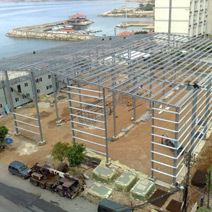 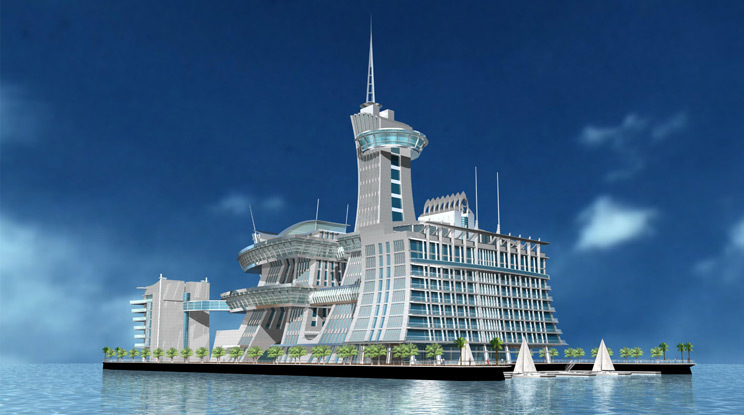 The versatile team of engineers and technicians with extensive experience,in addition to well equipped and computerized 25000sq.m workshops in full operation provide Beirut International M.I.C with the necessary capabilities to develop the business of the Advanced Engineering of the Floating Island Dhow 4.